Toyota TA-1 Will Someday Rise Again! Beginning sometime in 1998, Burt Rutan and Scaled Composites secretly worked with 40 aerospace engineers (many hired away from Boeing and Raytheon) to launch what I think was one of general aviation’s most important test flights. The Mojave operation – which looked a little like Lockheed’s Skunk Works – lasted four years, and produced the Toyota TA-1, a four-seat, single-engine piston plane with a carbon fiber/resin composite fuselage. 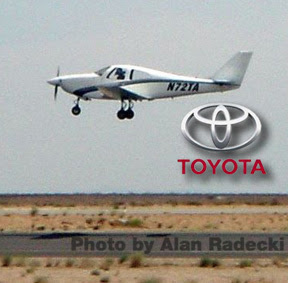 And on May 31, 2001 at California's Mojave Airport, Toyota’s entry into the GA market took flight for what is known to be its only flight, lasting about an hour. The short flight marked a major turning point for Toyota's ambitious goal of building airplanes that would be as simple to fly as driving a car, cost significantly less than the current generation of private airplanes and eventually be as ubiquitous as the automobile. The flight raised eyebrows within the aviation industry as Japan's largest auto manufacturer signaled it was making a significant move forward with its long-held but little-known plans to build light airplanes. So let’s fast forward to today. I wonder out loud what ever became of the Toyota project, is it still alive or DOA forever? 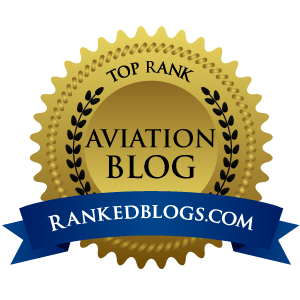 Maybe it’s like the Hondajet – rumors flew for years before Honda actually admitted to designing the plane, and now here we are on the doorstep of welcoming their beautiful jet into our world. I make no apologies for my love of Toyota products. I drive a 1995 Toyota T100 truck not because it is a chick magnet (it isn’t), not because it’s fast (with a 4-banger in a full-sized truck, it’s on the anemic side), but because it is unbelievably dependable. When Toyota decided to build a full-sized truck to compete head-to-head with the American makers, they over-engineered the T100 far beyond what was required. It is my third vehicle since 1977, all have been Toyota trucks, and all have been bulletproof. Things just don't wear out. I tuned it up at 190,000 miles – not because it was needed, it ran fine – but because I felt it was literally impossible for an engine to run that long without a tune-up. Now, at 230,000+ miles, it still has large, expensive parts that have yet to wear out. As summer approaches, I KNOW I need to have the air conditioning system serviced, but in the 15+ years since I drove this truck off the lot brand new, I have yet to do that, and the thing still pummels me with cold air with the flip of a switch. So I've always been dismayed that Toyota never pushed on with the TA-1 project. 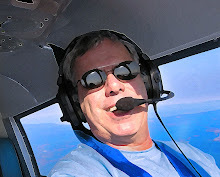 If they could have married the luxury interior of their Lexus line to a composite airframe with performance to match a Cirrus or Columbia, you don’t need to be Burt Rutan to figure out they might have sold several boatloads of airplanes. I can promise you I would have been one of the buyers. And while we may never know what could have been, this we do know: The damn thing would have been tough as nails and would have never left you stranded. After all, it would have been a Toyota, and if the engine was built to their usual high standards, could we have seen a 4,000 hour TBO? Yes, think about that...4,000 hours between overhauls...Oh What a Feeling!